Win a Canon EOS 7D Mark II and accessories! The Ultimate Photography giveaway: Win a Canon EOS 7D Mark II and accessories! Sure, phone cameras have made some incredible leaps in recent years, but all the Instagram filters in the world don’t hold a candle to the depth and beauty you can capture through the lens of a powerful DSLR camera. For a limited time on TNW Deals, you can get in on a chance to win a Canon EOS 7D Mark II camera and the accessories you need to get the most out of it as part of our Ultimate Photography giveaway. All you have to do is enter to win! 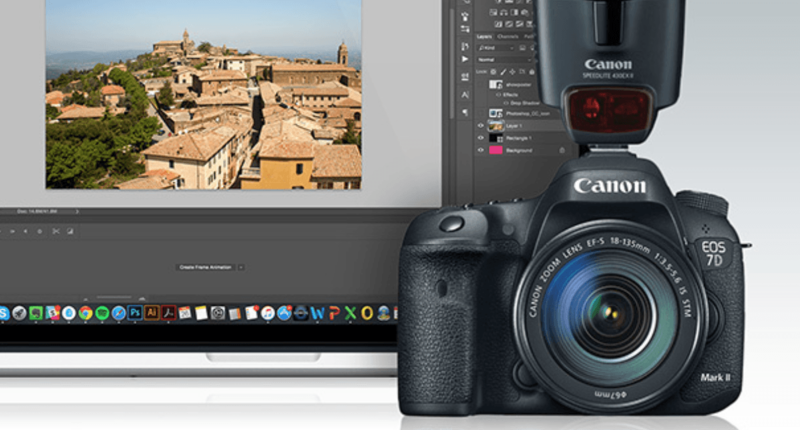 Canon DSLRs are an industry standard, producing professional-grade, gorgeous images, and with this prize pack you’ll learn the ropes of how true professional photographers operate them. Included in the giveaway is a Canon Speedlight Flash so every scene is perfectly lit, day or night. Lastly, you’ll get a one-year subscription to the industry-standard photo editing suites, Adobe Photoshop and Lightroom, to give your photos the professional touch they deserve. Entering is simple – TNW readers can just head to the contest page and fill out the online entry form with a valid email address, and you’re automatically entered. Share the giveaway on Twitter, and once you get some friends to enter, you’ll receive additional entries to win. One registration per person please!